It was unfortunate that the excellent Mad Men was not awarded outstanding drama series at last night’s Emmy Awards. An opportunity missed to give the series, which aired its last episode in May this year after seven seasons, a fine sending off, much like Breaking Bad had last year. Mad Men’s depiction of American life mid-20th century was its strength; unabashed and direct in its addressing of relations between people, the work environment, race, women, and, of course, men. Mad Men’s universe and characters serving as a deliciously authentic look into the era. As Mad Men’s conservative 1950s leaves our screens, its portrayal of life still bears relevance in 2015. 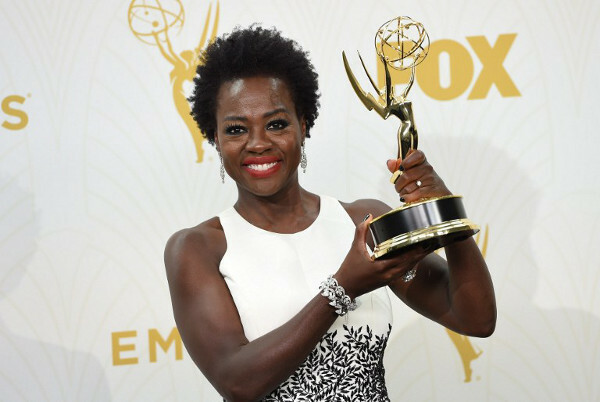 Last night for the first time ever a black woman, Viola Davis, won outstanding lead actress in a drama series. Davis plays Annalise Keating in How to Get Away with Murder. While Davis’s place in a traditionally white-dominated list of awardees over the years provides a lovely highlight of the ceremony, it does invite inquiry into whether we’ve really come far since the days portrayed in the world of Mad Men. Much like that time, it still appears a tough task for most demographics — be it racial or otherwise — to star in TV series due to a lack of diversity of characters. It seems that, while groups do break through, TV is still dominated by certain groups. Sometimes, when portrayed, it can be to the detriment of the subordinated group because of stereotypes and lazy cliches. They really seem only interested in portraying one specific kind of lifestyle or personality. A prime example to illustrate this point is the outrageously popular and (somehow) critically acclaimed Modern Family, which missed out on best outstanding comedy series for the first time in five years. Modern Family. A series where each character lives up to pathetic cliches and tedious, unfunny stereotypes. Where the gay couple prance around worrying about frivolous things. Where the old white man is wealthy and therefore has a trophy wife who is the only real non-white character, and is a whiny South American woman who is clearly there to be leered at. The father is a lovable fool — because we haven’t seen that before. The young girls go as popular and stupid, and unpopular and intelligent. Oh, and the women are housewives. Seriously, if the show, as the title suggests, is in any way indicative of real life, then we’re all in trouble. It is also unfortunate that shows like Modern Family are the most watched. It topped the ratings in 2011-2012. Sharing the top 10 were Big Bang Theory, Two and a Half Men, How I Met Your Mother, and New Girl. All white-dominated; all use shoddy stereotypes. Sure, there are some new types of characters creeping through — Jeffrey Tambor took home the Emmy for his role as a transgender person in Transparent, and Peter Dinklage won outstanding supporting actor. They sit alongside four other black recipients apart from Davis. However these awards merely sweep the problem under the rug. There is, it appears, reluctance from creators and producers of shows to portray a variety of characters. A 2014 Hollywood Diversity Report states “minorities and women are woefully underrepresented”, this in spite of “[women being] slightly more than half the US population, and more than one third of the population is currently [made up by minorities]”. It is also a problem behind the scenes as “important gatekeepers of the [television] production process [tend to] load their rosters with white show creators, directors, writers, and leads, largely to the exclusion of minority and female talent”. Hopefully this year’s Emmys serve as the opening of the floodgates. However, different races and genders are just the tip of a subordinated mountain: there is also a need to begin to include a variety of body types, disabilities, and cultures, and to portray them in a way that counters patronising or stereotyping. Lack of overall diversity is, sadly, something that dominates all media: for instance, videogames out late 2015 to early 2016 are really the first where there is a volume of playable female characters. There is still a lack of ethnic groups and, well, all else. Ditto films and advertising. “The only thing that separates women of colour from anyone else is opportunity,” said Davis in her acceptance speech, where she acknowledged black female struggle icons who historically carved out opportunities for women.